Nicole needed a way to organizer her art supplies in her studio. When she discovered Organize My Drawer, she was able to design organizers to contain her paints, brushes, and drawing materials. Her goal was to find items quickly and easily and have peace of mind in her studio. Nicole Finger takes on a traditional painting method with modern-day subjects. She grew up in Bethesda, Maryland where she was greatly influenced by her artist mother and her father’s passion for owning and racing horses. Nicole’s painting supplies were a jumbled mess. “I strive to reach a high level of realism while not sacrificing the rich, textural quality of the paint as it aligns itself so perfectly to the sensuous and luscious attributes of the subject itself.” This requires unbroken concentration. 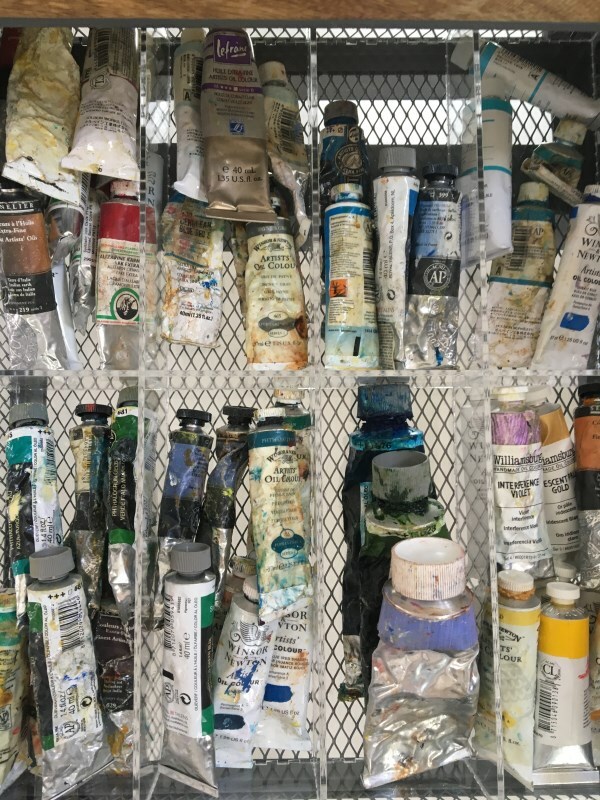 “Looking for a particular color oil paint even for a moment can be distracting and frustrating and would break the flow of the artistic process,” according to Nicole. She tried organizing her supplies using baskets and pre-made wood dividers, but they did not solve her problem. They were disorganized, not easy to maintain and generally unsettling. She was trying to make her supplies fit the organizers – not the other way around. “I absolutely love Organize My Drawer!” says Nicole. By designing each organizer herself, she was able to make the compartments and layout work for her. She created organizers to separate her oil paints by color and her brushes by size. She also made an organizer to contain her solvents and a couple organizers for her office supplies. Because Nicole designed the organizers herself, her things are organized her way. “The customized sections provide the appropriate spaces for my items so they don’t slide around and there isn’t a tendency to junk pile,” says Nicole. The organizers are shipped fully assembled and ready to use. In the event the organizers get messy, they can be washed using mild soap and water or put in the top rack of a dishwasher. Nicole now has an organization system that supports her creativity. 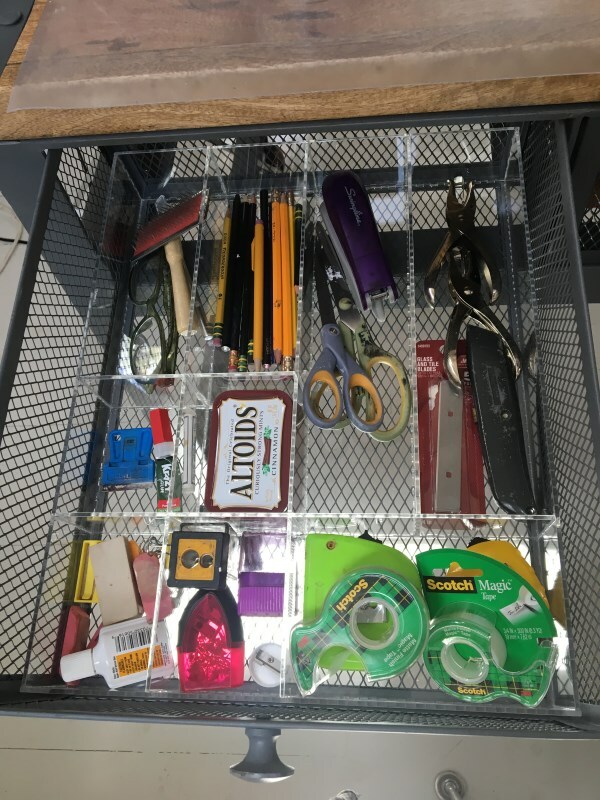 “My organizers keep everything perfectly in appropriately-sized places where they can always be found. Now I have less of a tendency to just throw miscellaneous stuff in my drawers,” proclaims Nicole. 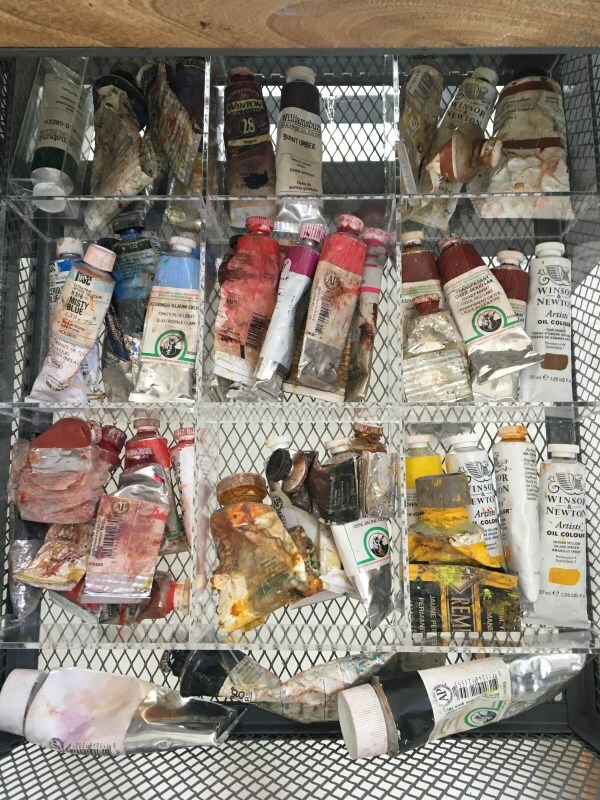 “Organize My Drawer has made It a pleasure to have all of my artists materials and tools so cleanly organized and accessible. Now I don’t waste endless moments looking for things that normally would break the flow in the artistic process. Looking for a particular color oil paint even for a moment can be distracting and frustrating, but no longer! After earning a Bachelor of Fine Arts degree from the University of Colorado in Boulder, she worked in various art fields, including illustration, in California and Colorado. She currently resides in Telluride with her husband and two kids. Nicole’s work shows nationally in numerous solo and juried exhibitions and can be found in many corporate collections and publications including Southwest Art, American Artist and Art Collector and Vogue. Her work is represented at Skidmore Contemporary Art, Los Angeles, California.